Snow View is a mesmerizing point to witness the true beauty of the majestic Himalayan Mountains. Situated at a small distance from Nainital, in the state of Uttarakhand, this is a spot widely visited by tourists from every nook and corner of the country for its breathtaking allure. A perfect recreational spot, Snow View has got an enjoyable cable car service, in addition to a good roadway to reach it. The beautiful view which can melt anyone’s heart provides a treat to the eyes. Moreover, there are a plethora of activities which have been set up here for tourists to thoroughly enjoy. There are a great many eateries to enjoy fast food from and also an amusement park for family and friends to enjoy alike. All this makes Snow View a great place to relax and get away to from the mundane routine of daily life. Make sure to visit on a clear day to enjoy an unrestricted field of vision of the mesmerizing mountain range. Since the place is quite chilly, carry some warm and cozy clothes in addition to gloves. Wear comfortable footwear to keep up with the walking that has to be done. Enjoy an amazing vista of the smooth white Himalayan mountains which extend endlessly and provide a great perspective. Take the ropeway up to the point and have a great enjoyable ride up the trail. Make use of the charm of the place to click some great shots which are complemented by the tempting backdrop. Skate around at the skating rink to have a different experience. Get the adrenaline pumping by enjoying the free fall and go carting activities which are present at the amusement park. Trek amidst the enchanting view up to the telescope for an unhindered view of the panorama. Visit the dainty temple which is present on the way to the Snow View point. Shop around at the shopping center while also indulging in some video games. Gorge on a great variety of food at one of the umpteen eateries which have been set up to cater to the needs of the tourists visiting the place. 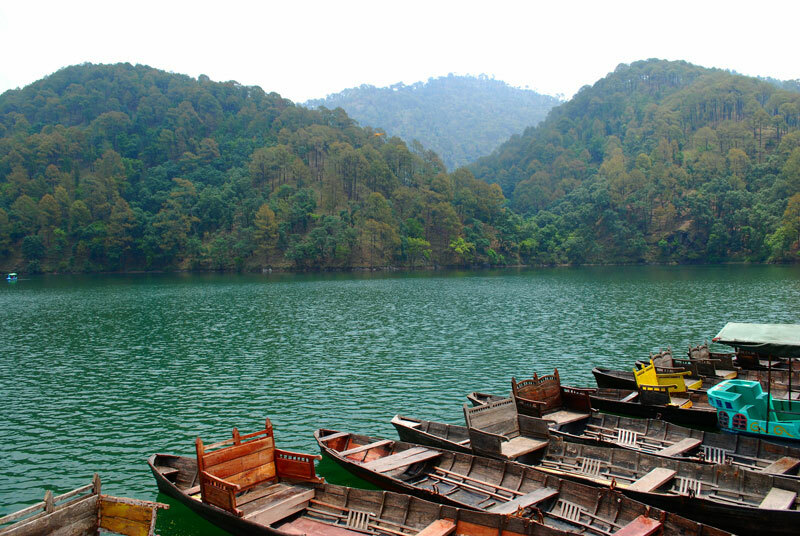 Nainital is a location which can be visited all throughout the year. But the best time to visit Snow View for having the perfect view, is during the summer months, to escape the heat which attacks the rest of the country. The winters can see heavy snowfall and hence is not advised to visit the point. Even the monsoons can lead to a restricted perspective due to the covering by clouds. The Snow View can be reached easily from Nainital as it is just at a distance of about 3 kilometers from the center of the city. It can be reached by cabs or buses after which a cable car or private cars can be used to reach the top. The adjacent airport is the Pantanagar Airport which is situated at a distance of about 65 kilometers while the adjacent railway station is the Kathgodham Junction which is just about 35 kilometers away and has a well-connected network. It is located at a height of about 2250 meters above the sea level at the top of Mallital. Even the mesmerizing peaks of Nanda Devi and Trishul can be seen from the point on a really clear day. Gadhan Kunkyop Ling Gompa is the local spiritual Tibetan monastery which is present in the area. The view is complemented by binoculars and telescopes which are provided to the visitors. Snow View provides the perfect blend of natural charm and exciting recreational facilities to have the time of your life. With a multitude of activities to carry out, Snow View is the right place to be visited by nature lovers, adventure fanatics and photography enthusiasts and thus easily is a prime attraction to the tourists visiting the state of Uttarakhand.